6 Pouches for 1 low price! 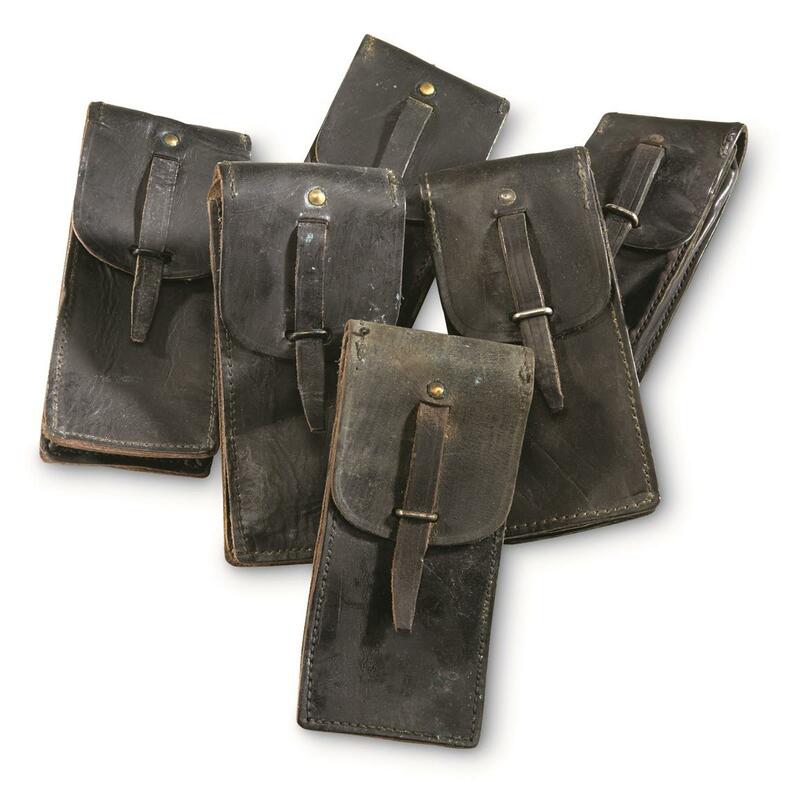 6 French Mag Pouches made with rich, flexible leather to take on plenty of action. Top French military specs mean each Pouch is set to serve you well at the range or in the field. Belt loop with belt hanger works great with your vintage duty belt. And the cool retro looks are perfect for reenactors or costumers, too. Load up on your 6-pack of Mags today! Size: 7" x 4" x 1"
8" x 3.5" x 2"
A British original, ready to reload. 7" x 4.25" x 3.75"
3" x 5" x 9"
WWII-style mag carry, packed with history. Black beauty for compact carry.